Charles Carroll Glover, “Charles Carroll Glover,” Histories of the National Mall, accessed April 23, 2019, http://mallhistory.org/items/show/143. 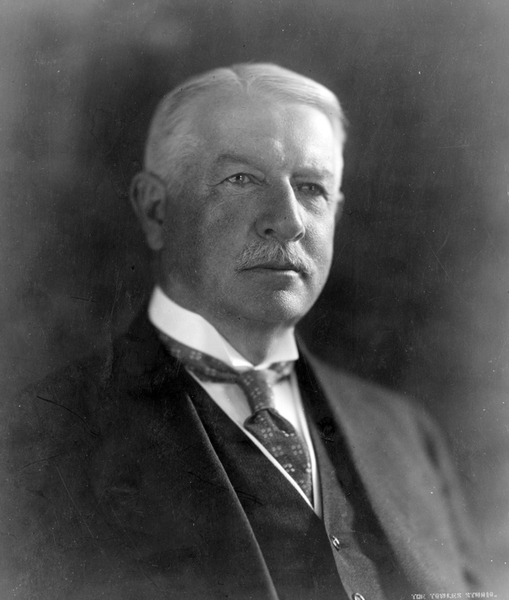 Charles Carroll Glover was a business man who advocated for the development of parks in Washington, DC, during the late 1800s. In 1881, he called a meeting of fellow businessmen to propose transforming the Potomac flats, a tidal marsh area, into a public park. He continued to promote the idea, even meeting personally with President Grover Cleveland, until the land was formally declared a public park in 1897. Today the Lincoln Memorial and Jefferson Memorial are just a few of the national monuments that reside on the flats. Glover was named for his grandfather Charles Carroll, one of the first residents of Washington, DC. Glover was born in North Carolina, but moved to Washington, DC, to live with his grandmother when he was eight years old. As a young man, he started work at the bank Riggs and Company, rising to be a partner by 1873. When it became Riggs National Bank in 1896, Glover was president of the bank. Glover personally donated land to be used as parkland. He was strongly committed to civic development in the District, pushing for the development of Rock Creek Park, the National Zoo, and reclaiming the Potomac Flats where many of the memorials of the National Mall currently reside. Cornelius W. Heine. "The Contributions of Charles Carroll Glover and Other Citizens to the Development of the National Capital." Records of the Columbia Historical Society, Washington, D.C. , Vol. 53/56, [The 42nd separately bound book] (1953/1956), pp. 229-248.